StudioJ - Leicester - Hair Nails and Beauty in Groby. A Modern, Stylish Salon, catering for Ladies, Gents and Children's hair. Salon Manager, Jamie-Lee, has vast experience in creating the latest in styles. Whether you are looking for advise on Style, Colour, Hair Extensions, or Special Occasion Hair-Up Designs, we have the up to date, trained stylists, to help you achieve your desired look. If you would like to discuss any concerns you may have with your hair, book a Free No Obligation, Consultation. Please advise us if you have not had colour in the last 6 months and we will undertake a skin test 24 hours prior to your appointment. This is a 2 minute process and is completely free of charge. Available, for that very Special Occasion, please contact us to arrange an Individual Quote to suit your Requirements. We use only the Highest Standard Hair Products, including Fudge, Moroccan Oil, and Tigi - Bedhead. Styling Products, Gift Sets, and Shampoo Products are available to purchase. We are also an Approved Salon for GHD's and Racoon Hair Extension Accessories. We are an Authorised salon for Racoon International and Balmain, both Leaders in Hair Extensions. Racoon and Balmain is 100% human hair, and is a safe and healthy way to partially or fully lengthen hair, or simply to add texture, colour, or volume. The bonded system allows your natural hair to be easily and safely blended and we can perfectly colour match to ensure a beautiful natural look. Book a Free Consultation to discuss your individual style. 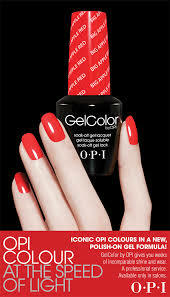 OPI Gel Nails, Nails or Toes, lasting 2 weeks, ideal prior to summer holidays, or that special occasion. For a touch of luxury, we have the latest in a Relaxing Spa Pedicure for your feet. Give your feet a treat and start with a Magical Callus Peel, to remove all the hard skin from your heels, then have a luxury spa pedicure, sheer heaven! We use the salon system Thai products for that exotic sensual ritual for all our luxury Manicures and Pedicures, leaving the scent of the Oriental on your hands and feet lingering for days. ULTRA TAN POWER TOWERS The latest technology, in a convenient Tanning Shower. Various Courses available, or Pay as you Use. SIENNA x SPRAY TAN The number one choice in sunless tanning. Sienna x is the Official tanning supplier to Strictly Come Dancing and the BRIT Awards, and is the answer to a natural looking sunless tan. Highly beneficial before your beach holiday so you can start off looking tanned and fabulous from day one. Great for that special occasion, lasting 5 - 7 days, non-streaking, and a choice of shades to suit each individual to achieve that sun-kissed natural look. We offer all Waxing and Tinting services. 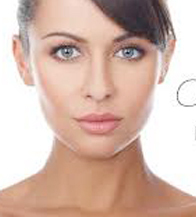 We have a fully qualified Nurse Prescriber and Aesthetic Nurse Practitioner, with years of experience in Aesthetic Treatments, offering Anti wrinkle treatments with Botox, Dermal Fillers, Lip Fillers, Chemical Peels, Dermal Roller and Mesotherapy Treatments, and PDO Thread Lifts (Non Surgical Face-lifts).